Our Mission is to creatively communicate the Gospel, John 3:16, with the Nations of the world. Our Vision is to encourage, train and equip the Body of Christ to creatively share and communicate the Gospel, “The Greatest Story Ever Told” – John 3:16, with the Nations of the world by using the colors of the “wordless book”, displayed on various sports products, which represent the truths of the Gospel. To see people coming to a saving knowledge of the Lord Jesus Christ and then to grow in their faith to become fully devoted followers of Christ in every area of their lives. J316 Mission & Vision is carried out through these three areas of ministry. J316 Resources – “Creating and providing a great tool for YOU to share John 3:16 (The Greatest Story Ever Told)”. 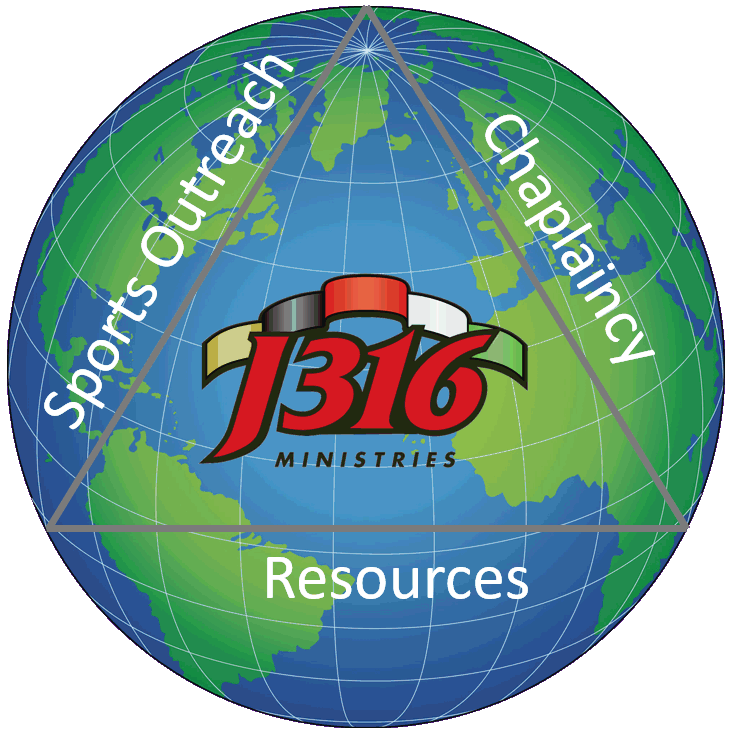 J316 Ministries was founded in May 2009 by Butch Morley with the purpose of reaching the world with the message of John 3:16. After years of using soccer as a platform for sharing the Gospel the idea of an “evangelistic soccer ball” caught Butch’s attention. Using the colors of the “wordless book”, (which tell the story of the Gospel), the idea began to take shape and the J316 ball was realized- a great tool for sharing the message of John 3:16.